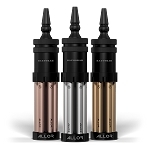 ALLOR Rechargeable For Her redefines the Electronic Cigarette and Vaporizing experience. 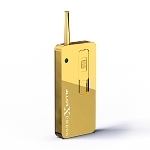 It has the size and appearance of a conventional Slim-Size cigarette with the functions of an Advanced Personal Vaporizer. 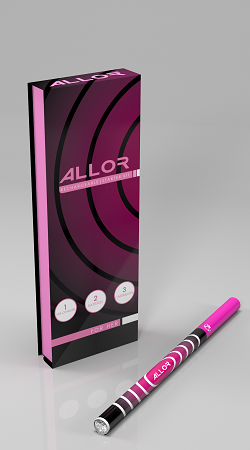 Designed with the modern woman in mind ALLOR Rechargeable For Her comes in a sophisticated pink color and feminine slim and long shape. 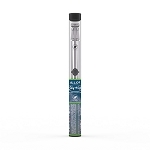 With ALLOR Rechargeable For Her users have a wide array of flavor options and various nicotine concentrations available in special prefilled cartridges. 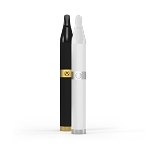 The device is a cost-effective alternative to cigarettes, the battery is reusable and the flavor cartridges are replaceable.